Marlie and Me: Holiday Photo Contest Entry: Let's Ride! This is my favorite photo of Marlie on Christmas morning. I have a picture just like this one of myself as a toddler on my own rocking horse, so I may be slightly biased. Look at the joy on her face. Isn't she the cutest cowgirl dressed as Santa's little helper you have ever seen?! *This post is my entry in the GiveawayBlogs.com 2010 Holiday Photo Contest sponsored by UPrinting.com. So please leave a comment (it's like a vote). Marlie and Me really appreciate your support! This is a precious photo. She is so petite!!! I do love that photo! It's fabulous. new follower...you and your little man are too cute! absolutely adorable! looks like marlie had a fun christmas. I love it! 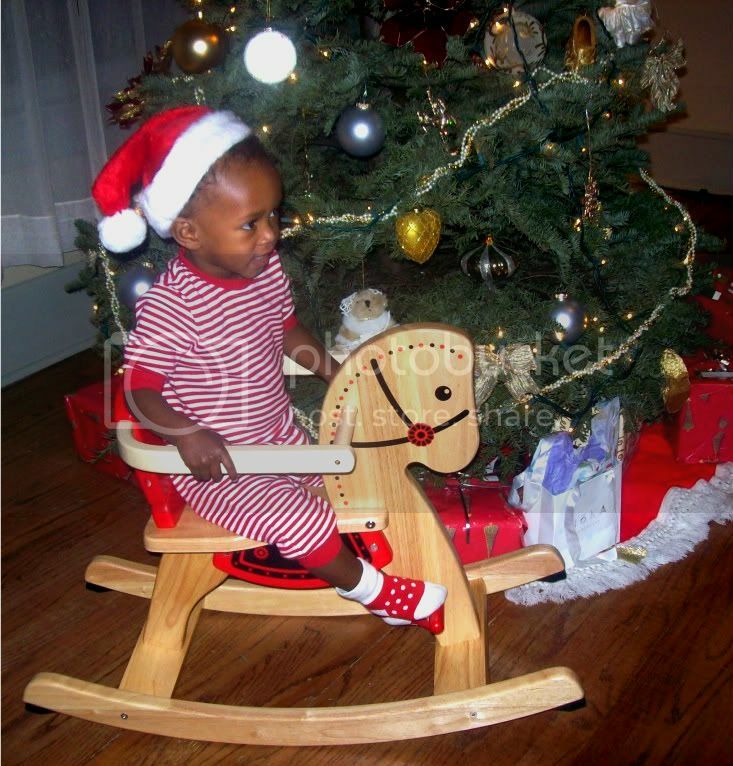 That is the cutest rocking horse!